Have you ever wondered what your relationship will be like down the road? Over the course of time our true colors naturally show. But if you’re watching for it, you can get a good picture of his character early on. Even during the first few dates. The secret is simple. There are a lot of ways to discern a person’s character. One of the best ways is by watching how he treats those who are powerless to repay either kindness or contempt. And people are always powerless when they aren’t even there to defend themselves! In other words, the way he talks about other people says more about his character than anyone else. With that in mind, consider the following questions. How does he talk about his ex-girlfriend or ex-wife? His boss? Friends? Family? Is there kindness in his words? Does he lean toward forgiveness and grace, even with those who have wronged him? Or is he bitter and prone to blame? I’m not saying he can never say anything negative about other people. Of course he didn’t always get along with his ex. But the real question is this. Does he stew in negativity about her, even if he’s nice to her face? Or does he make an effort to be forgiving? 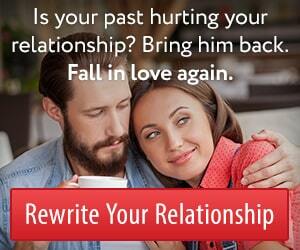 The answer to that question will give you powerful insight into how he’ll treat you as your relationship develops. And the sooner you start paying attention to how he treats others, the better. I encourage you to listen for his attitude when he tells you about the other people in his life from day one. If this article as impacted you at all, consider another angle. As you already know, my approach as a dating and relationship coach is to encourage my clients to become truly irresistible. The key is to radiate beauty from the inside out. With that in mind, think about the way you come across to him. When he hears you talking about friends, family, exes, even politicians, what is he learning about you? One of the clearest indications of character is how we talk about other people. Use this basic truth to gain insight into how your guy will treat you as your relationship grows. And remember that it applies to you, too! Let your inner beauty shine through in the way you talk about others. If this article has impacted you at all, consider another angle. As you already know, my approach as a dating and relationship coach is to encourage my clients to become truly irresistible. The key is to radiate beauty from the inside out. This entry was posted in Dating, Relationships and tagged character assessment by James Bauer. Bookmark the permalink. This is an amazing truth, I feel so honored to be in a relationship with the guy I am with. 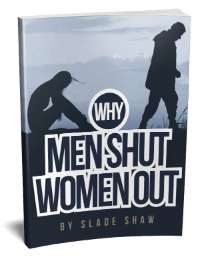 He speaks candidly about his shortfalls in his past 2 marriages. We ask each other whether we have forgiven our past spouses or does the memory or mention of them still leave a bitter taste in our mouths. Dealing with these issues and seeing my man’s attitude towards them has given us roots in our relationship and wings to soar together leaving the painful past behind us and take on board lessons we’ve learned from our pasts. I don’t know what to do. My husband can hold a grudge and is always negative. He always puts me down and talks about other women, what he would do for them. Right in front of me. It’s hurts. But he tells me he loves me. We’ve been together for 38 years. He was not always been like this. What do I do? The most wise advice comes to us as a reminder of what we already know in our heart. As Maslow stated, we should live in a world where no one tries to push no one down. And as I state, you only compete with yourself. Healthy competition! What if he misunderstood. Perhaps she was quietly thrilled to know of his parting times. It brought peace to her, a chance to breath and slow the blood flow. It was her only escape. Perhaps his presence was misunderstood and his outings were welcomed. Her only sadness was the clarity that his return was as overwhelming and frightening for him. The departures were serving no positive value in their relationship. They were creating no longing, only pushing anxiety full throttle. Recently dated Bad Catch Man – in the short 7 weeks we dated, he always had something negative to say about people (even friends). He said in a sort of passive way, so as not to sound mean but the negatives were constant. I think in reality he was just trying to bolster himself up. Wow! I love this . It’s so true . What wisdom , not only judging another person’s character , but my own !!! I won’t forget this priceless advice !